The scientist who convinced the world to take notice of the looming danger of global warming says it would be better for the planet and for future generations if next week’s Copenhagen climate change summitended in collapse. 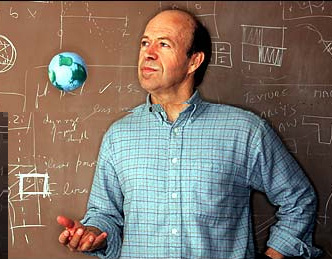 In an interview with the Guardian, James Hansen, the world’s pre-eminent climate scientist, said any agreement likely to emerge from the negotiations would be so deeply flawed that it would be better to start again from scratch. “I would rather it not happen if people accept that as being the right track because it’s a disaster track,” said Hansen, who heads the Nasa Goddard Institute for Space Studies in New York. “The whole approach is so fundamentally wrong that it is better to reassess the situation. If it is going to be the Kyoto-type thing then [people] will spend years trying to determine exactly what that means.” He was speaking as progress towards a deal in Copenhagen received a boost today, with India revealing a target to curb its carbon emissions. All four of the major emitters – the US, China, EU and India – have now tabled offers on emissions, although the equally vexed issue of funding for developing nations to deal with global warming remains deadlocked. Hansen, in repeated appearances before Congress beginning in 1989, has done more than any other scientist to educate politicians about the causes of global warming and to prod them into action to avoid its most catastrophic consequences. But he is vehemently opposed to the carbon market schemes – in which permits to pollute are bought and sold – which are seen by the EU and other governments as the most efficient way to cut emissions and move to a new clean energy economy. Hansen is also fiercely critical of Barack Obama – and even Al Gore, who won a Nobel peace prize for his efforts to get the world to act on climate change – saying politicians have failed to meet what he regards as the moral challenge of our age. The understated Iowan’s journey from climate scientist to activist accelerated in the last years of the Bush administration. Hansen, a reluctant public speaker, says he was forced into the public realm by the increasingly clear looming spectre of droughts, floods, famines and drowned cities indicated by the science. That enormous body of scientific evidence has been put under a microscope by climate sceptics after last month’s release online ofhacked emails sent by respected researchers at the climate research unit of the University of East Anglia. Hansen admitted the controversy could shake public’s trust, and called for an investigation. “All that stuff they are arguing about the data doesn’t really change the analysis at all, but it does leave a very bad impression,” he said. The row reached Congress today, with Republicans accusing the researchers of engaging in “scientific fascism” and pressing the Obama administration’s top science adviser, John Holdren, to condemn the email. Holdren, a climate scientist who wrote one of the emails in the UEA trove, said he was prepared to denounce any misuse of data by the scientists – if one is proved. Hansen has emerged as a leading campaigner against the coal industry, which produces more greenhouse gas emissions than any other fuel source. He has become a fixture at campus demonstrations and last summer wasarrested at a protest against mountaintop mining in West Virginia, where he called the Obama government’s policies “half-assed”. He has irked some environmentalists by espousing a direct carbon tax on fuel use. Some see that as a distraction from rallying support in Congress for cap-and-trade legislation that is on the table. For all Hansen’s pessimism, he insists there is still hope. “It may be that we have already committed to a future sea level rise of a metre or even more but that doesn’t mean that you give up.